Haha! This is great seeing the New York Jets go from a potential threat for the AFC East to the Patriots, to arguably the team that has regressed the most this year. In midst of a four-game losing streak and having to actually put in Geno Smith shows the desperation in New York. "He wanted to get him some reps." He used a baseball analogy and said he was simply inserting a relief pitcher. "It's not that I have no confidence in Geno," Bowles said. "We have two quarterbacks that can play right now. Fitz is our starter. Anybody back there would've been under duress today." 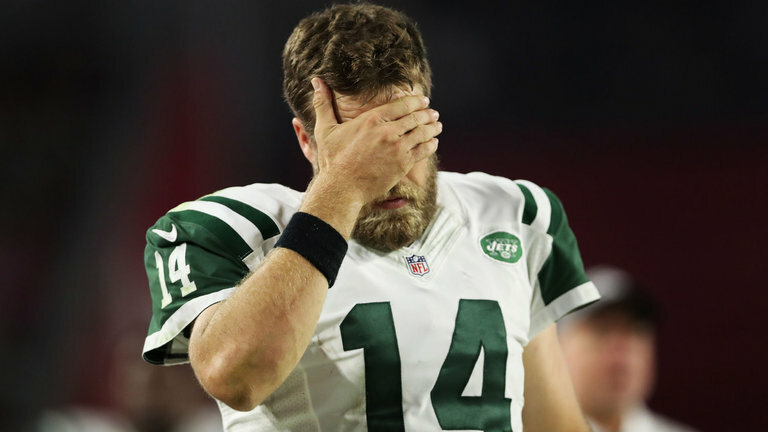 "It definitely wasn't Fitz's fault," Bowles said. "He barely had time to throw. Anybody you put back there would've had problems." Typical Geno Smith. He gets his chance after four completions in a row, then get sacked and throws an interception, we all know Fitz is still the starter because Smith is awful. As Patriots fans it is great to see the old enemy struggling and this will see us win the AFC East once again.